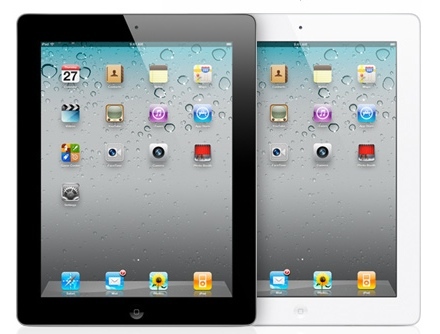 Home > News > iPad 2 in UAE, Turkey, Others this Friday. Where’s Saudi? iPad 2 in UAE, Turkey, Others this Friday. Where’s Saudi? Apple has announced that the iPad 2 will be available in Japan tomorrow Thursday 28th of April and in the following 11 countries on Friday April 29: United Arab Emirates, Turkey, Hong Kong, India, Korea, Macau, Malaysia, Philippines, Singapore, South Africa and Israel. Saudi Arabia, the biggest IT market in the region, is absent from Apple’s press release. Apple continues to ignore Saudi Arabia and treats the UAE as if it’s the only country in the Middle East. According to my sources in Saudi’s communications authority, CITC, they never contacted Apple and asked them to remove FaceTime or censor the Apple App Store. I believe that the UAE’s communications authority, TRA, is the one that asked Apple to remove them and for some reason they applied it on Saudi Arabia’s devices and app store. We tried to contact the TRA and we got no response. CUPERTINO, California—April 27, 2011—Apple® today announced that iPad® 2, the second-generation of its breakthrough post-PC device, will arrive in Japan on Thursday, April 28 and Hong Kong, Korea, Singapore and eight additional countries on Friday, April 29. iPad 2 will be available at Apple retail stores at 9 a.m. local time, select Apple Authorized Resellers, and online through the Apple Store® (www.apple.com) beginning at 1 a.m. Additionally, iPad 2 with Wi-Fi will be available in China beginning Friday, May 6.
iPad 2 features an entirely new design that is 33 percent thinner and up to 15 percent lighter than the original iPad, while maintaining the same stunning 9.7-inch LED-backlit LCD screen. iPad 2 features Apple’s new dual-core A5 processor for blazing fast performance and stunning graphics and now includes two cameras, a front-facing VGA camera for FaceTime® and Photo Booth®, and a rear-facing camera that captures 720p HD video, bringing the innovative FaceTime feature to iPad users for the first time. Though it is thinner, lighter, faster and packed with new features, iPad 2 still delivers up to 10 hours of battery life* that users have come to expect. iPad 2 with Wi-Fi will be available in Japan on April 28 and Hong Kong, India, Israel, Korea, Macau, Malaysia, Philippines, Singapore, South Africa, Turkey and UAE on April 29 for a suggested retail price of $499 (US) for the 16GB model, $599 (US) for the 32GB model and $699 (US) for the 64GB model. iPad 2 with Wi-Fi + 3G will be available for a suggested retail price of $629 (US) for the 16GB model, $729 (US) for the 32GB model and $829 (US) for the 64GB model. iPad 2 with Wi-Fi will be available in China on May 6, and further international availability will be announced at a later date. iMovie® and GarageBand® for iPad apps are available for $4.99 (US) each from the App Store℠ on iPad or www.itunes.com/appstore. The Smart Cover is available in a range of colors in vibrant polyurethane for $39 (US) or rich leather for $69 (US). What about the white iPhone 4??? did you try contacting Arab Computers, its mentioned on their site that the iPad 2 will be available on friday. i reserved one but i havn’t got any confirmation !! what do you think Â ? ?